We were very happy with the service and value for money we received from Green Choice. They replied promptly to my voicemail and were able to come quickly to look at the problems we were having with no hot water (and hence no heat as we have radiators). Though Jackson was not familiar with our unit I gave him the manual and it didn't take him long to figure out what the issue was. We needed a new part and then when he was installing it he found that there was another underlying problem that had caused that part to break. So he had to make two trips to Etobicoke for parts - under those circumstances the cost was super reasonable (we are in the Beaches). He was also thorough in looking at the whole system and recommending what maintenance we could undertake in the future to lessen issues. Thank you for taking the time to write a review. It was a pleasure working with you. We called Green Choice to provide a second opinion regarding the need to replace our furnace. Nathan and his team were very responsive and arrived on site an hour or so after the call. They provided a recommendation and quote for replacement. 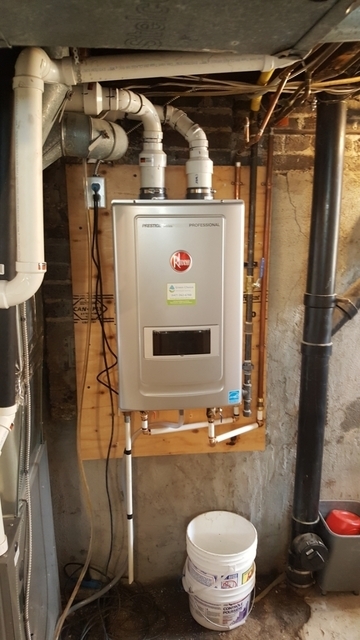 Given it was going to snow, they committed to ordering and installing the new furnace the very next day. The team was knowledgeable, professional and friendly. The quote for the replacement was more than reasonable and included a new thermostat and 10 year warranty for parts and labour. Overall, we are very happy with the service. Hopefully the new furnace will last for many years to come with little need for repair. Appreciate the review and your business! Nathan and his team at Green Choice have come to my rescue on more than one occasion over the past few years. No matter what the issue, Nathan is professional and courteous and above all, competent! I feel that Nathan has always given fair quotes for all services provided and there has never been any surprises with costs. Thank you! We really appreciate your business and you! You have been around since the early days! We have used Nathan his company Green Choice four times since we bought our house. 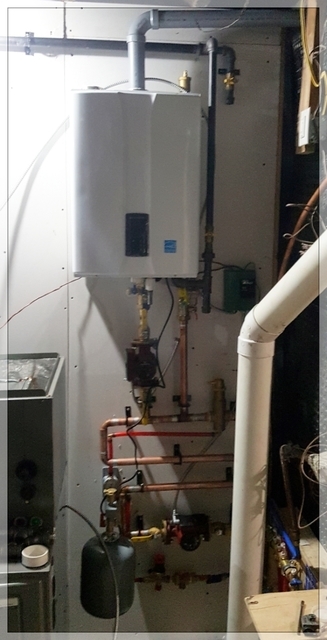 He has provided us with same or next day service in "emergency" situations three of the four times (a gas leak, a broken furnace at -30 degrees, and a broken hot water heater). Nathan is a knowledgable and skilled technician, as are his employees. His recommendations (eg., replacement vs. repair) are on point, reasonable, and clearly not based on trying to up-sell. Finally he is trustworthy and he has always offered us the lowest price of his competitors. We would (and have) strongly recommend Green Choice to our neighbours. I called Jackson about furnace issues and he was able to come very quickly. He was professional and friendly. Didn't try to upsell me and quickly dealt with the problem. I've also had Nathan come in the past and he was great as well. I highly recommend them and they will always be my first call! Jackson brought my house out of the cold. We were on vacation in Mexico when my neighbour informed us that our furnace had died. 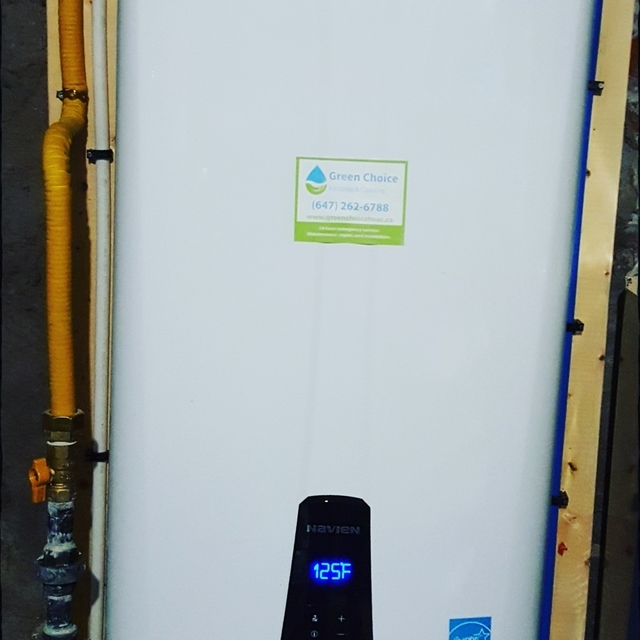 I browsed HomeStars ratings and chose Green Choice. Excellent choice! Jackson responded to my call within 10 minutes. 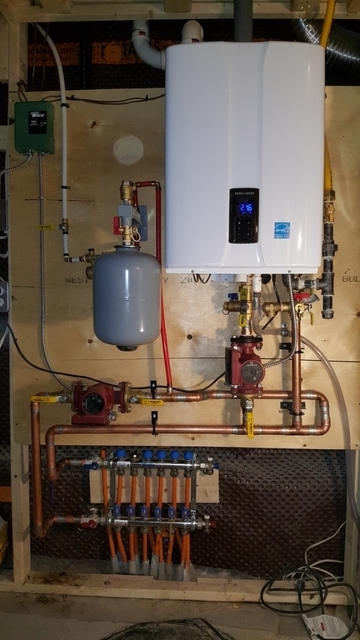 A new furnace was installed two days later. It could have been earlier but my house was unoccupied, so need to hurry. Water was off. Great installation. Clean and efficient! Thanks again to Green Choice! Thank you for the kind words. I look forward to meeting you in person when we come back for the AC and tankless water heater. Our furnace was red tagged late Friday evening of family day long weekend. We had already gone one night without heat and were preparing to go a few more days since it was a long weekend. Regardless, we left a message around 10pm with Green Choice and to my surprise within 30 min I received a text saying I'd get a call asap. Nathan called and went over a few, details and said he'd be over the next morning. By 5pm Saturday, our old furnace was removed and our new furnace was up and running. Nathan was humble, informative and honest. Both Nathan and Jackson were polite and efficient. They will be returning in the spring to replace our air conditioner as well. Highly recommend them. Thank you for taking the time to write a review. It was a pleasure working for you. See you in the spring for that AC. Nathan is extremely professional and knowledgeable. He knows a lot about furnaces and is also a pleasure to deal with. He is also trustworthy and his prices are very good. Highly recommend. Thank you for taking the time to write this! I know you are busy with the little ones. look forward to helping with your hvac needs in the future. Twice now we've called Nathan of Green Choice to come fix our ancient furnace. 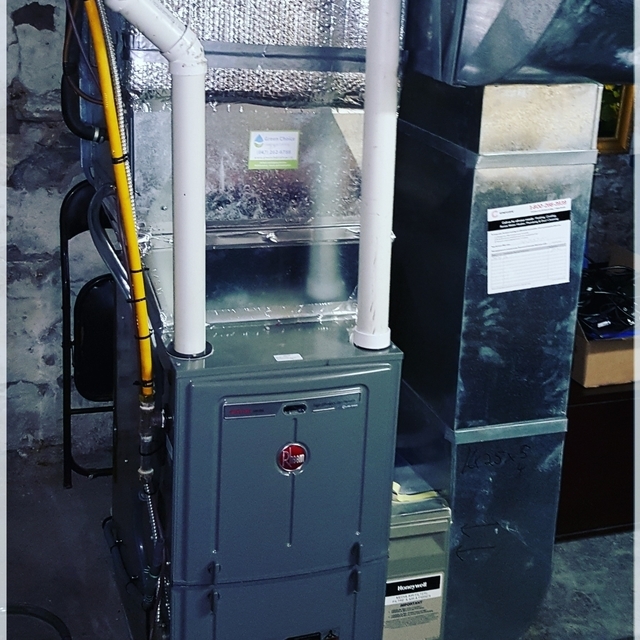 Both times we were reluctantly prepared to buy a new one, but Nathan has managed to fix the problems, extend the life of our furnace, and help us avoid (or at least put off) a huge expense. He's always really quick to get back to us, incredibly fair and honest when it comes to pricing, and just generally really great to work with! Thank you very much! Appreciate you taking the time to write a review! Hope you get a few more years out of that furnace! Nathan came and fixed the problem with our furnace the same day I called him. He was kind, professional, competent and even sensitive to my daughters nap schedule! Cost was very reasonable too. So happy to have found him! Will definitely call him for any future heating or cooling needs. Thank you for the review! I know it isn't always easy to find the time to write one! Our commitment is to provide our customers with the best possible home solutions available for their home and individual circumstances. That means explaining all of the options available, and partnering with them to achieve their needs. No high pressure sales or gimmicks to get into your home. An honest approach from homeowner to homeowner with the intent of developing a long-term relationship for your home comfort needs!